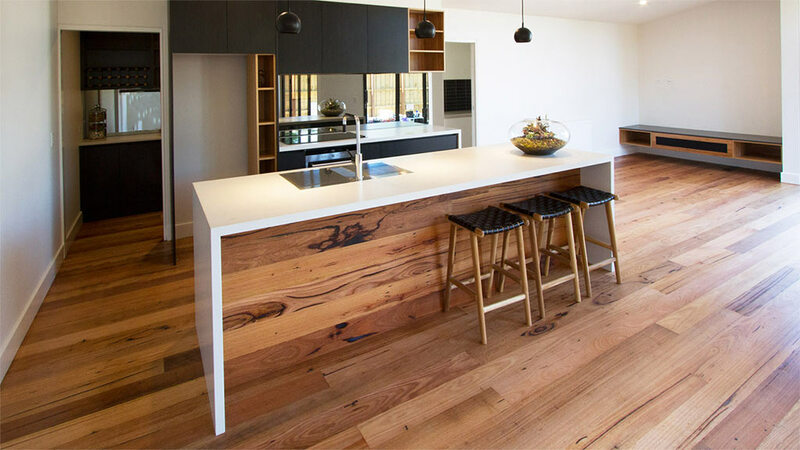 The beauty of timber flooring is unrivalled. 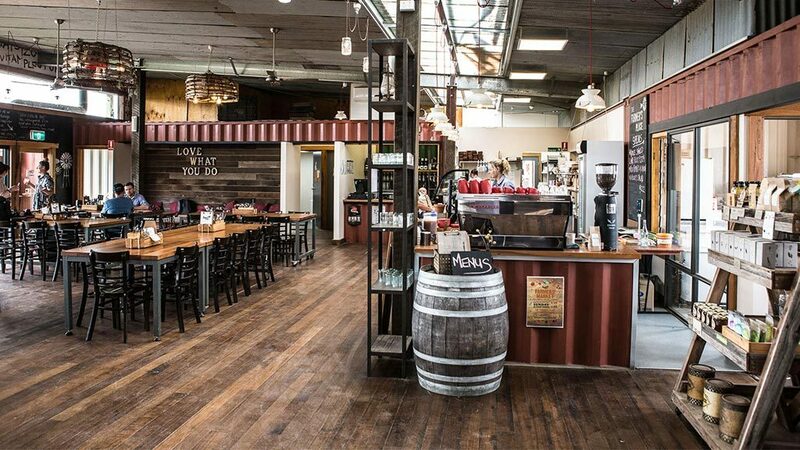 It creates a warm and inviting atmosphere and whether it’s applied in large commercial designs or in a new home, it makes for a brilliant first impression. 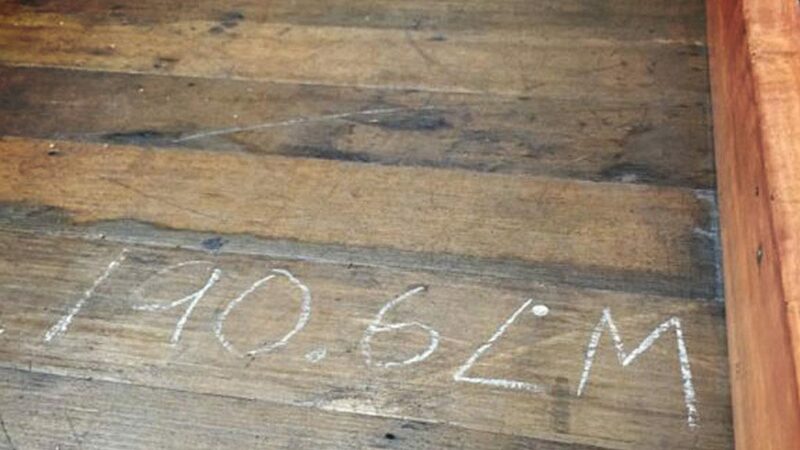 We supply both recycled and reclaimed timber flooring, as well as new kiln-dried timber flooring, all in a variety of species and sizes. 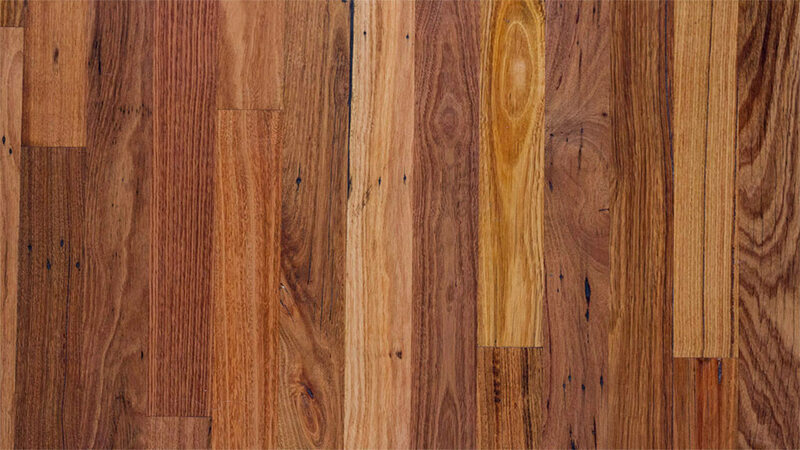 There is a lot to know and understand about flooring. More specific information on each of these types of flooring is below. 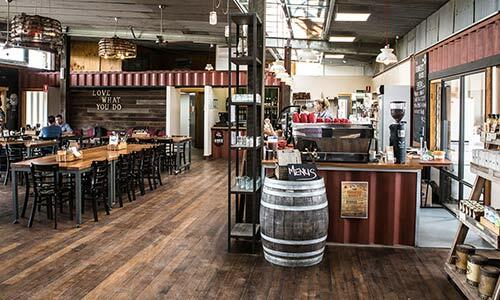 Our speciality is sourcing quality recycled and salvaged timbers from interesting and unusual places so our flooring comes with a story to tell – from the roofing purlins of the old Dimmey’s & Forges factory in Footscray to the joists of a turn-of-the-century home in Richmond. And it’s not just the history of the timber that is notable; the age of these timbers ensure that they are well seasoned, offering great stability. 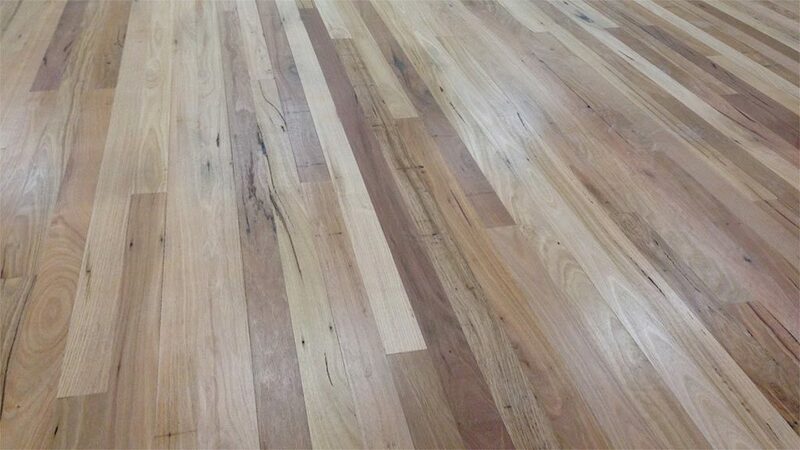 We offer our recycled Messmate blend in two sizes; 100x12mm overlay and a 160x19mm strip flooring. 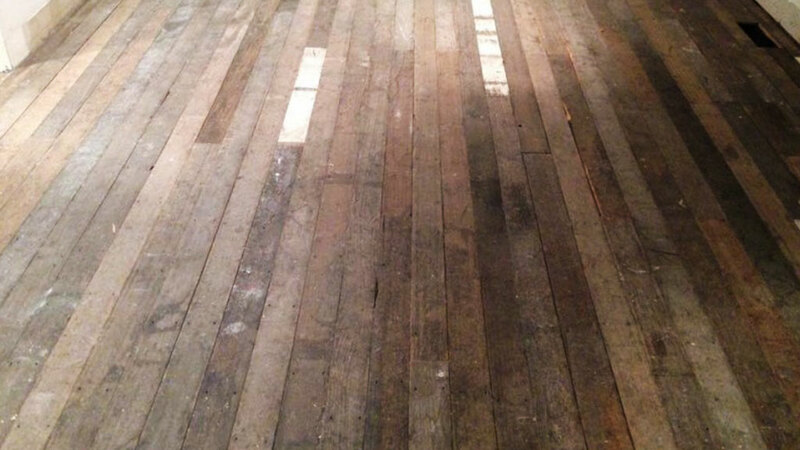 Custom sizes may be possible so let us know if you have specific requirements for your project. 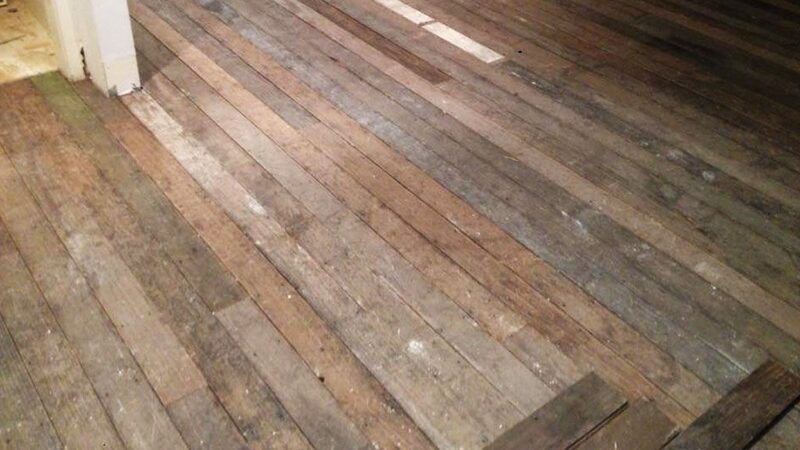 Reclaimed flooring is a versatile all-rounder and one of the most eco-friendly flooring options available. Our reclaimed floorboards are professionally lifted from old homes and buildings before being re-laid as flooring again, reducing landfill/waste and offering stable aged boards that have character and charm. 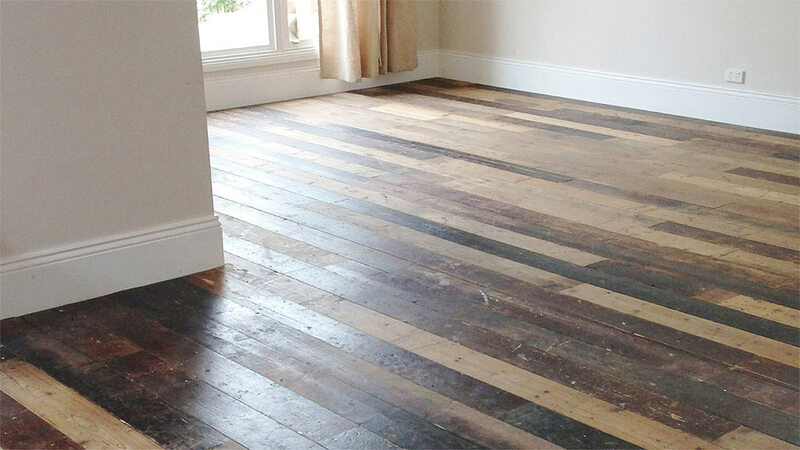 There are a number of important things to look for in reclaimed boards which can save you time and costs in the long run. The majority of the tongues and grooves should be intact. 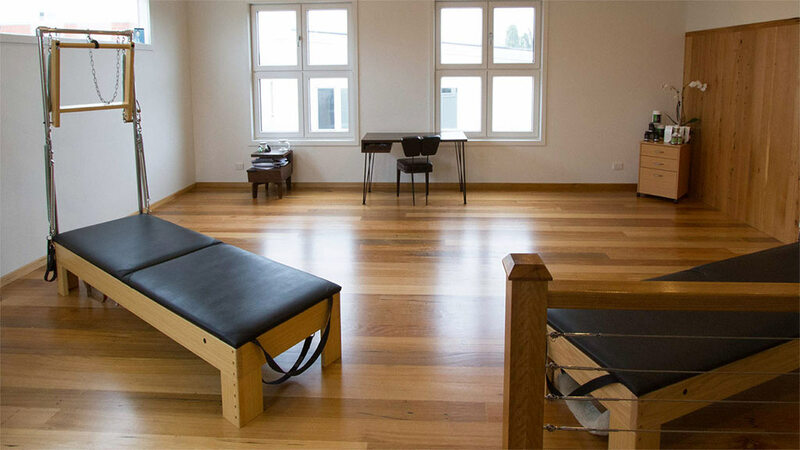 This will allow for ease of installation and demonstrates that care has been taken in lifting them. The profiles of tongues and grooves can vary from home to home, so look for boards that have come from the one site to ensure no variances in the profile. If matching to existing boards, ensure the thickness of the board is the same as what you are matching to. 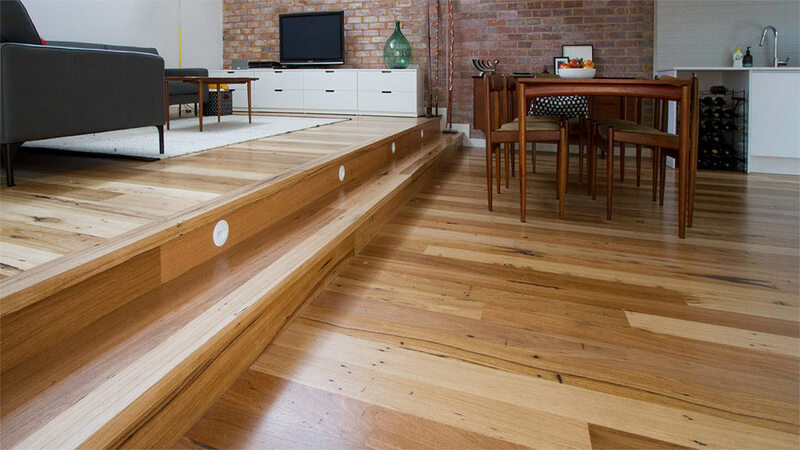 This will consequently save time in levelling joists and adjusting floor heights. 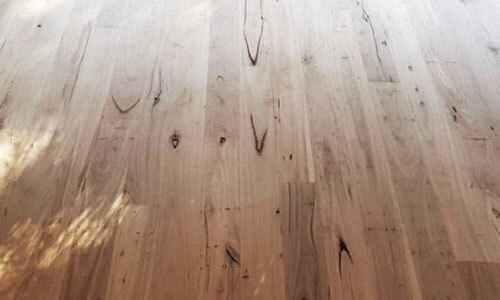 Not to be outdone by an old timer, we also stock beautiful new timber flooring in many species that are difficult to find in recycled materials. We have sustainably sourced new flooring options including AFS, PEFC & FSC certified products. 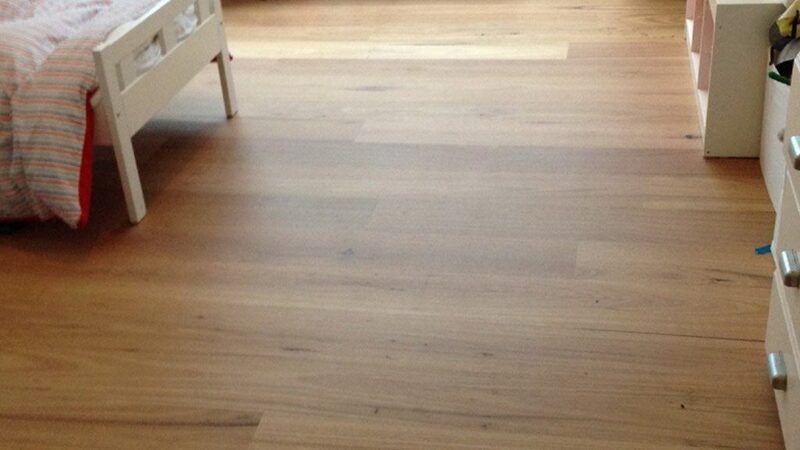 All our new timber flooring is manufactured to quality standards providing a high-grade product with easy installation. Our range of new timber flooring products include most Australian species in 12-14mm overlay and 19-23mm strip flooring. 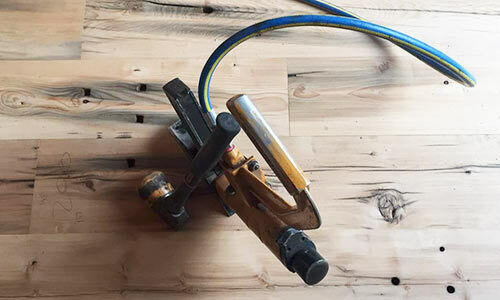 Wider boards can be ordered upon request. 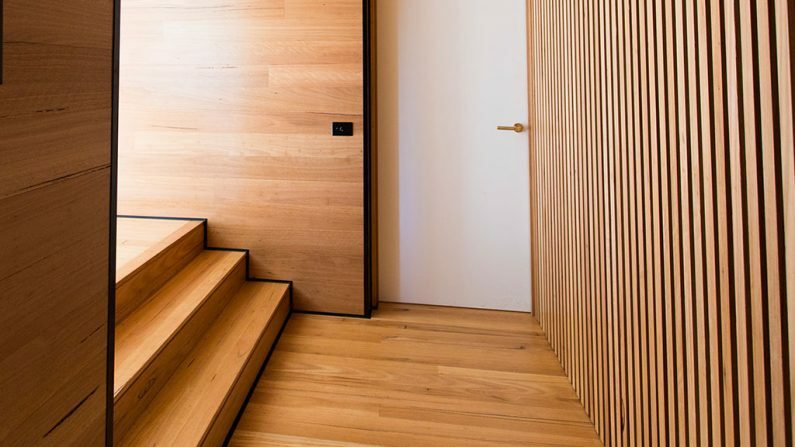 We know that a great timber floor is the combination of two equally important parts – a high-quality product and an expert installation and finish. 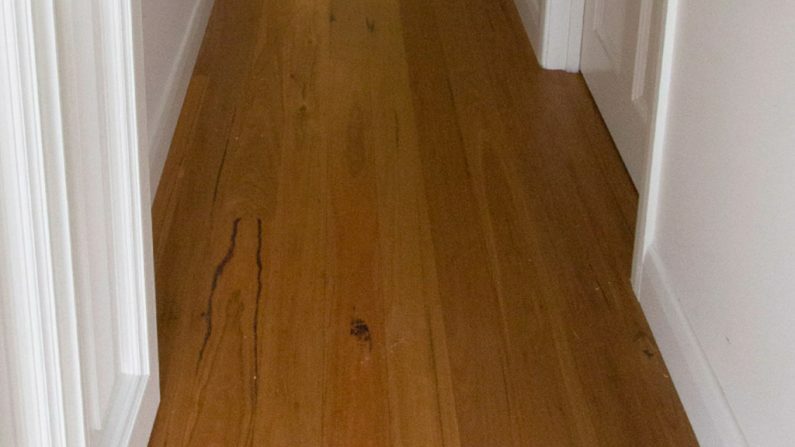 This is why we’ve gone the next step to also offer the best timber flooring installation service in Melbourne. We don’t make this claim lightly; we back it up by offering a 3 year warranty. 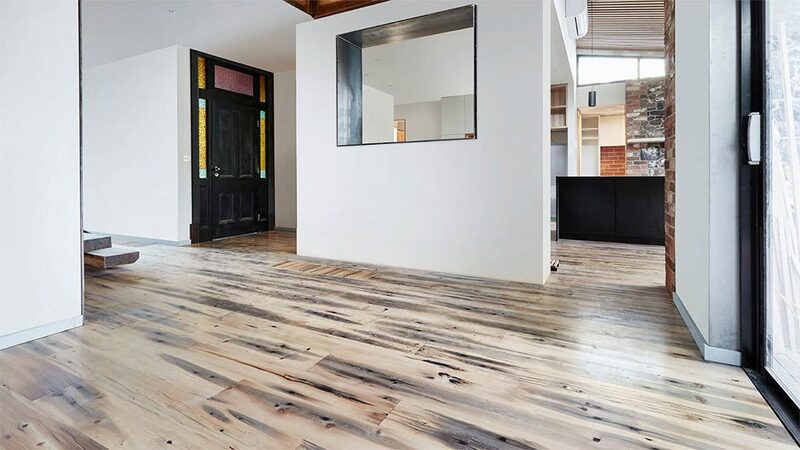 If you’ve got better things to do than manage deliveries and contractors, we can see to it that your flooring project is taken care of, from start to finish, giving you peace of mind that the investment you’re making in your floor is going to go off without a hitch. 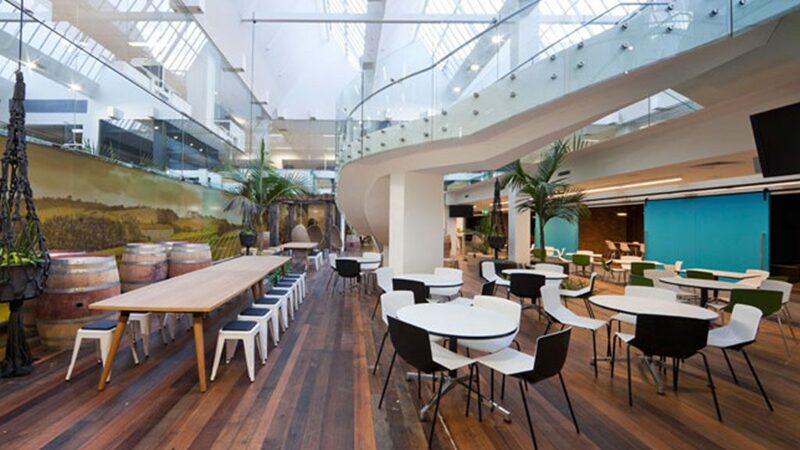 Request a supply and installation quote below or contact us for more information about our installation service.